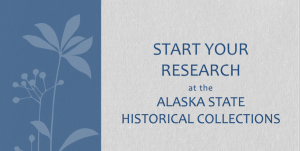 Collections that are focussed on Alaskan history and culture. This website is an entry point to many Alaskan history and culture archives – including Alaska Native History and Culture. You can also search by content type: albums, oral histories, moving images, maps, documents, physical objects. This website is designed to teach Alaskan high school students about their state, its rich history and its people. The curriculum is designed to meet Alaska’s Alaska History graduation requirement and related performance standards. This website serves as a resource for compiling and exchanging information related to Alaska Native knowledge systems and ways of knowing. 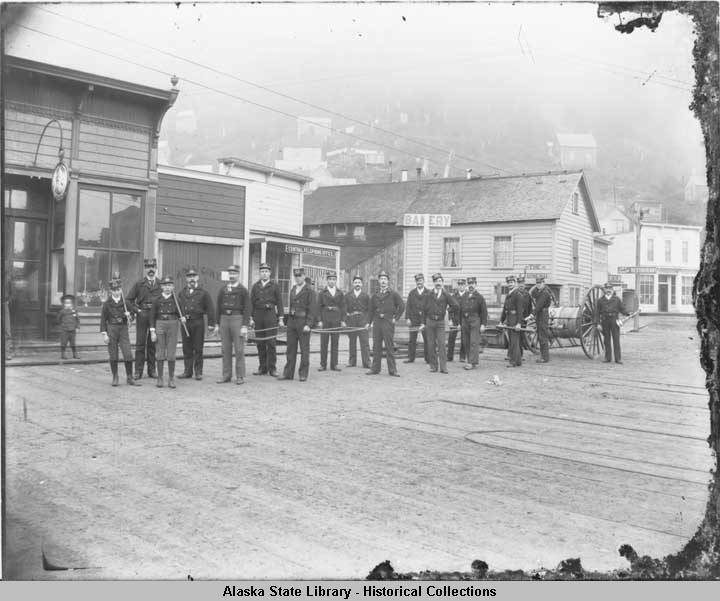 Members of the Juneau Fire Department stand Front Street with hose cart in 1890. These were the men and boys of Hose Company Number 1. Valentine’s Jewelry Store is at left. Emery Valentine, later the Mayor of Juneau, is second fire fighter from left. Percy Pond is seventh from left, and Lloyd Valentine Winter is tenth. Signs in image: Hose CoM’Y 1, Central Telephone Office, Bakery, The Juneau, Joe’s Popular Restaurant, Dealer in General Merchandise.